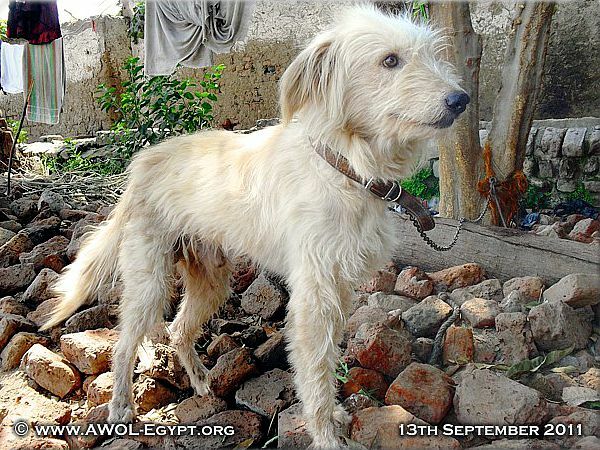 This dog was not afraid of humans so obviously at one time he had had a family. He was found by chance, lost amongst the thousands of acres of sugar cane. 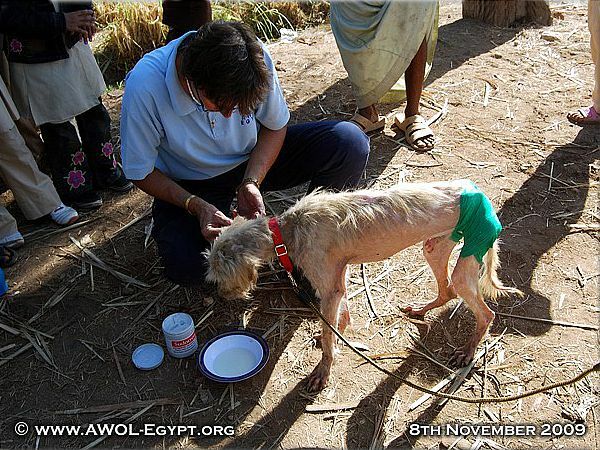 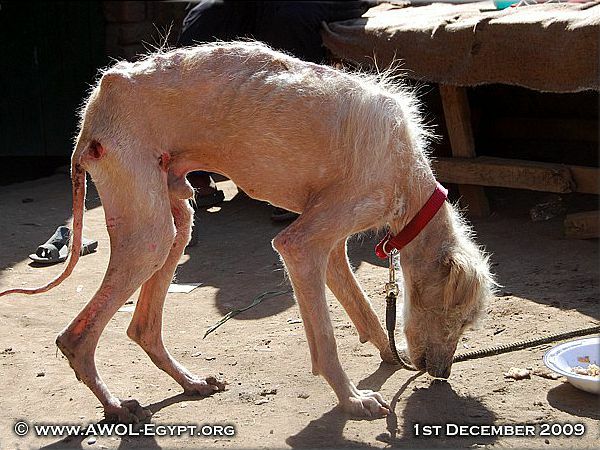 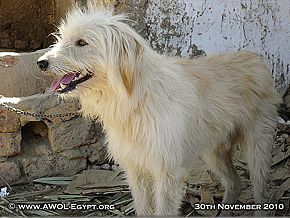 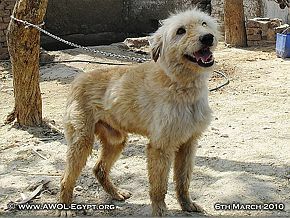 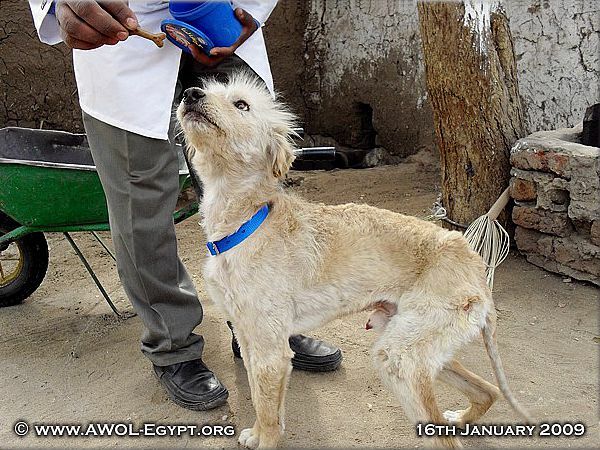 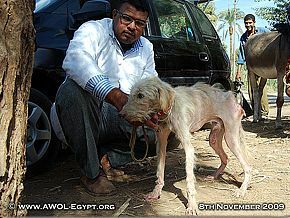 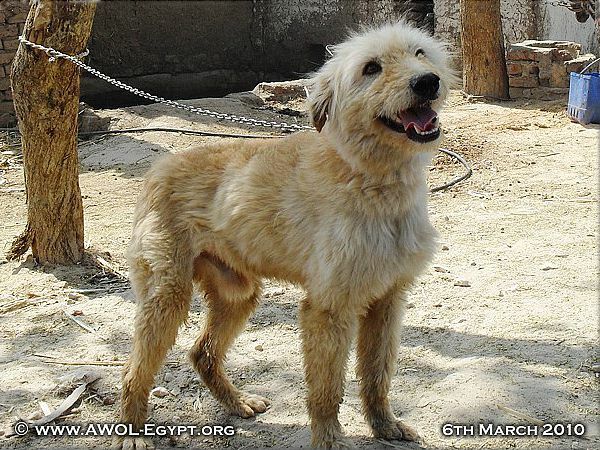 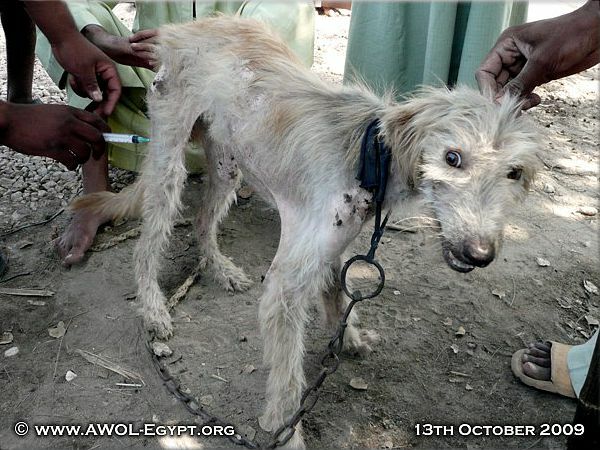 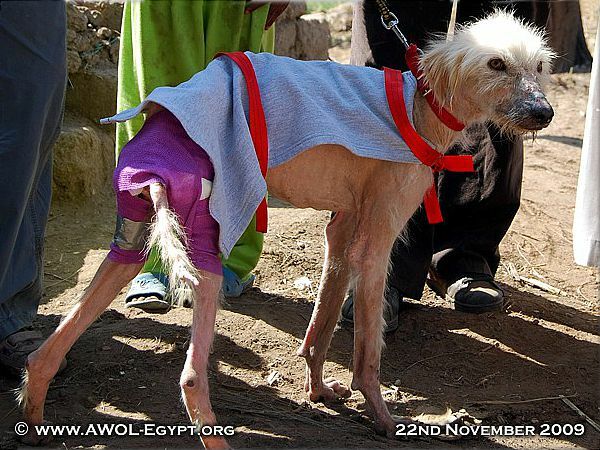 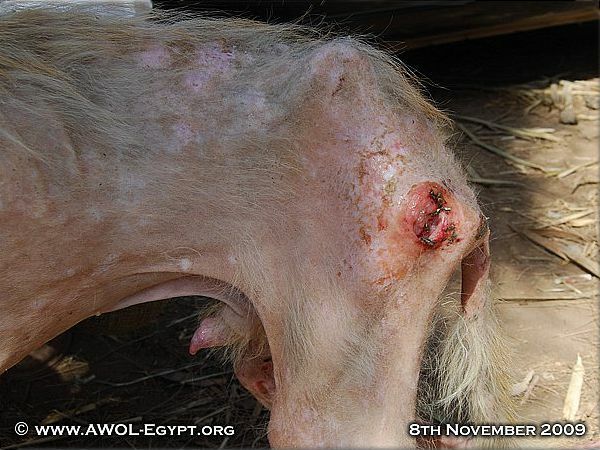 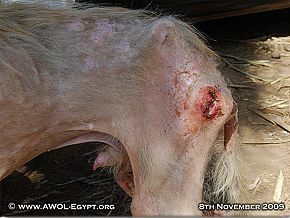 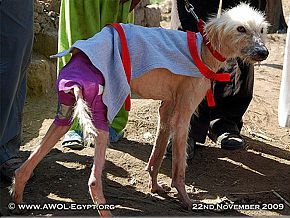 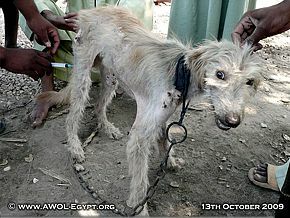 An Egyptian farming family found him and brought him to one of our regular clinics in the village. Please click on any picture below to see a larger image and just a few words about each photo.